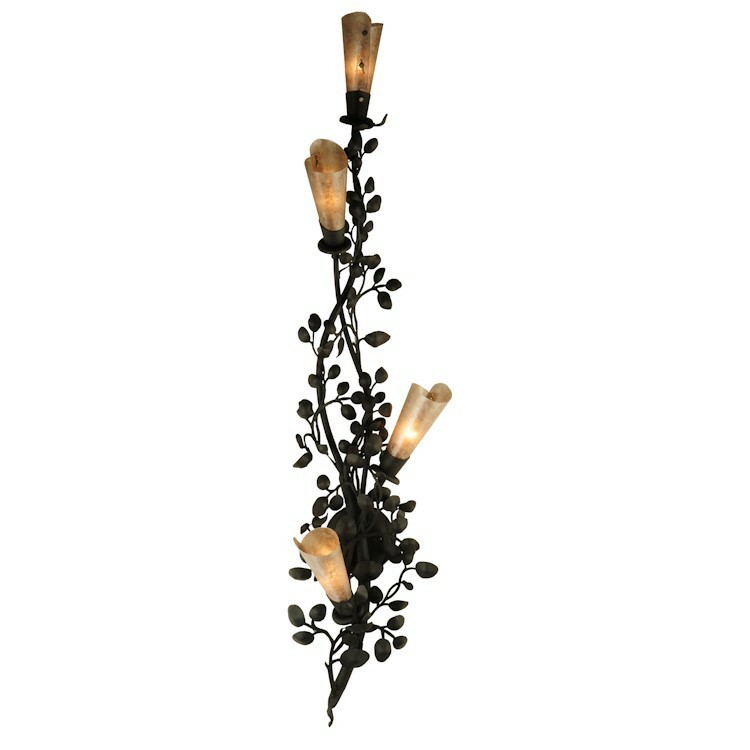 An ideal for accent for your walls is this Vinca Vine 4 Light Wall Sconce. 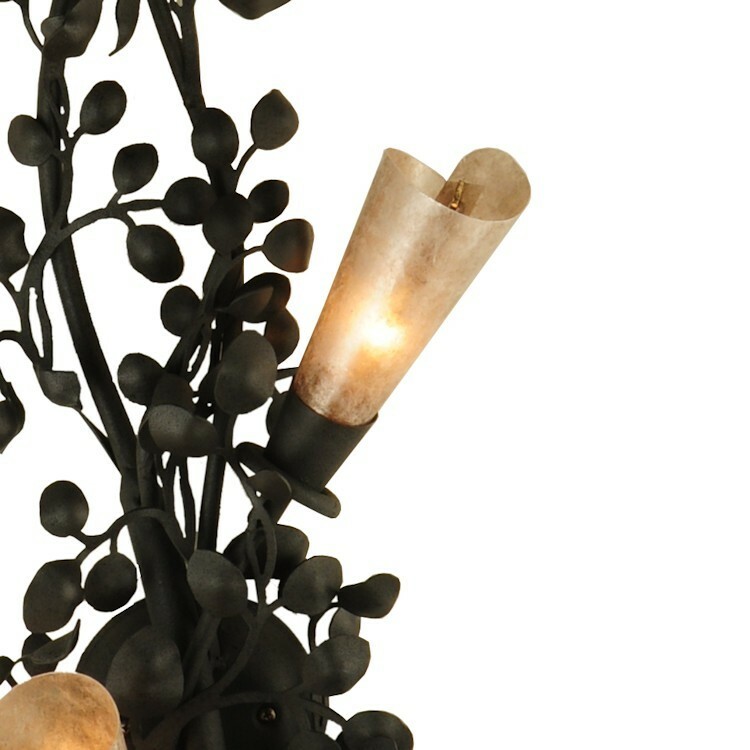 this impressive sconce features four dimmable Silver Mica Trumpet flower shades and a gracefully designed vine stem. 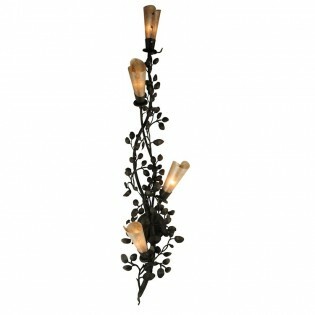 The delicate leaves and vine are hand finished in a handsome Old Wrought Iron.